Kristin Creative: Best Concert of the Summer! Best Concert of the Summer! 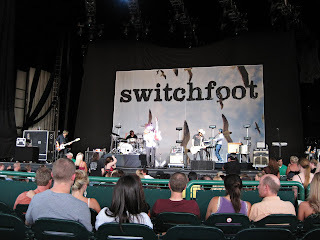 So... as my long time followers will know, I am a bit obsessed (not in a freaky scary way...) with the band Switchfoot. They are my all-time fav band, and I've seen them more times than I care to admit (and I really don't know if I could count... a couple times a year at least). 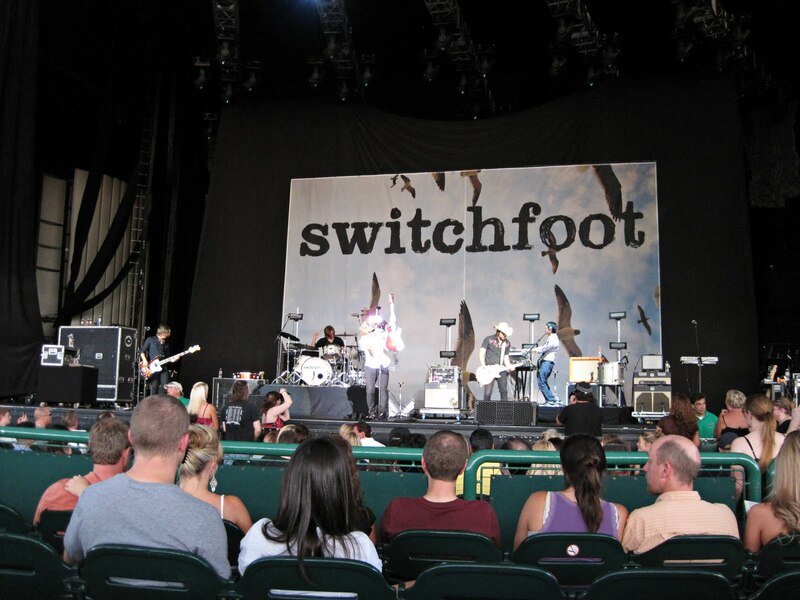 I've seen the Goo Goo Dolls quite a few times as well, so we weren't originally planning on going to the show last night... but HELLO... Switchfoot was the opener! Needless to say, my voice is a bit rough this morning--I sound like a man, lol, but it was so much fun! And to top it all off, total surprise, Switchfoot came out to talk to people after their set, so I got to meet the guys for the third time! 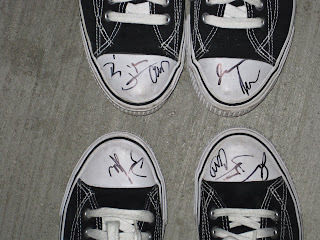 And I didn't have anything for them to sign, but the girls in front of us had them sign their converse so mom and I did the same! 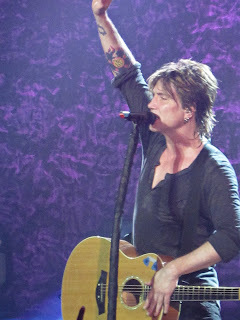 Johnny Rzeznik - Still has the most awesome hair ever! 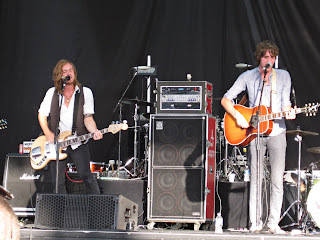 And this was the opening opening band, Green River Ordinance. I had actually heard their song "Come On" on the radio before. They did really good live--new fan. Check them out here! 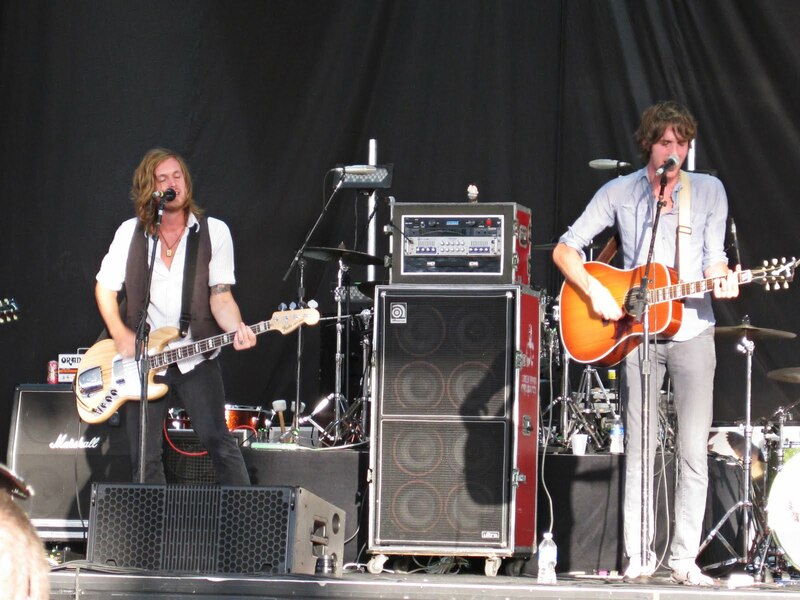 I LOVE SWITCHFOOT!!! 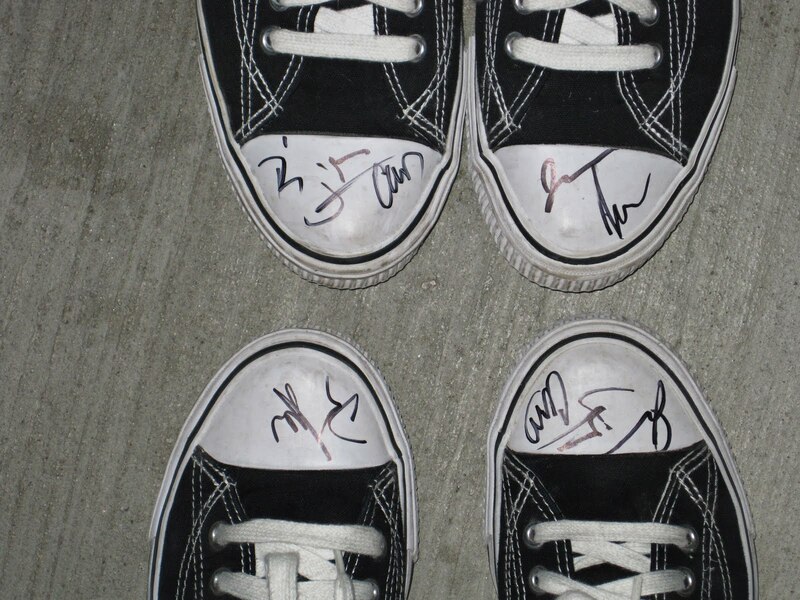 I love that they had their converse signed! So much fun! I love the Goo Goo Dolls. It's funny that you mentioned them here/went to see them. I was just thinking the other day about them. Looks like you had fun! 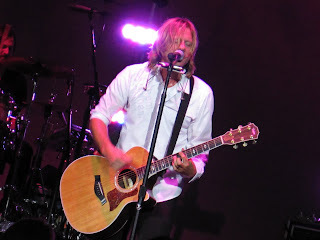 Switchfoot and the Goo Goo Dolls!! that's AWESOME!! 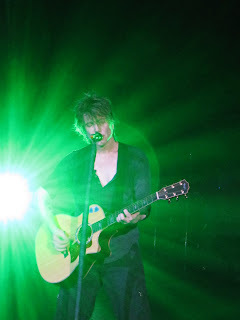 (love, love Dare you to move) and that green photo is gorgeous! I'm glad you had fun! I am sooooooooooo jealous. My husband would be too lol, we were just talking about them!!! Blogfest! He looks like what? Guess that Character Blogfest TOMORROW!